The information and/or documents provided on this website (collectively the “Information”) is being provided to the user (“User”) solely as an accommodation to User for informational purposes only in connection with User’s interest in acquiring information on real property located in the State of Arizona and/or the State of California. 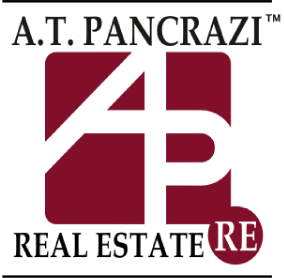 A.T. Pancrazi Real Estate Services, Inc. (“ATP”) has not undertaken any independent investigation as to the truth, accuracy or completeness of the Information and User is hereby advised that ATP does not make any representation or warranty, expressed or implied, whatsoever concerning the accuracy or thoroughness of the Information, or of the methods employed by the parties who prepared the Information. ATP also makes no representation or warranty that its principal(s) have approved the Information or that ATP’s principals will undertake or perform any action described in the Information. ATP disclaims any obligation or responsibility, express or implied, to update or supplement the Information. 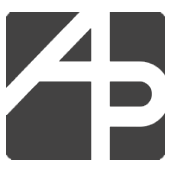 The Information is being provided solely to facilitate User’s own due diligence for which it shall be fully and solely responsible. Any projections, opinions, assumptions or estimates used are for example only and do not represent the current or future performance of any real property. Neither ATP nor its principals shall have any liability whatsoever for the accuracy or completeness of the Information or any other written or oral communication or information transmitted or made available or any action taken or decision made by the User with respect to the Information. User should perform its own investigations, projections and conclusions without reliance upon the Information. ATP and its principals reserve the right, in their sole and absolute discretion, to withdraw the Information at any time and for any reason. The Information is provided subject to omissions, correction of errors, change of price or other terms, prior sale or lease, or withdrawal from the market without notice. Accordingly, User is not entitled to rely on the Information and ATP shall have no liability, obligation or responsibility of any kind with respect to the content or accuracy of the Information and User’s receipt and review of the Information shall not give rise to any claims or causes of actions against ATP for any liabilities, claims, actions, suits, damages, losses, costs or expenses (including, but not limited to, attorneys’ fees) of any kind that User or any other party may incur. User waives, relinquishes, releases, indemnifies and hold harmless ATP and its principals, affiliates, officers, directors, shareholders, employees and agents (collectively, “ATP Parties”) from and against any and all claims, demands, causes of action (including causes of action in tort), losses, damages, liabilities, costs and expenses (including attorneys’ fees and court costs) of any and every kind or character, known or unknown arising out of the Information and/or any content delivered on this website.